The 5 Qt. 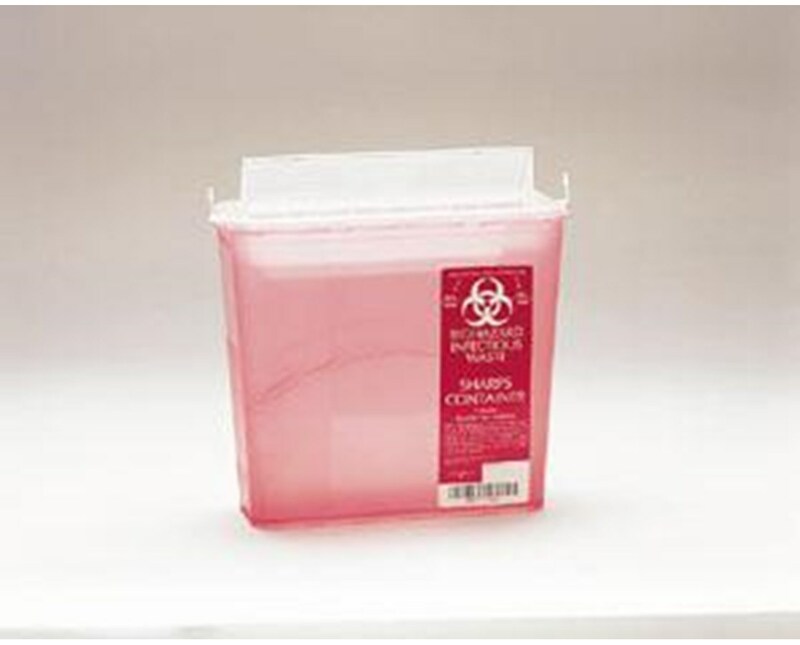 Sharps Container can be used with the wall mounted sharps disposable system. This system is designed to provide a touchless deposit of sharps. 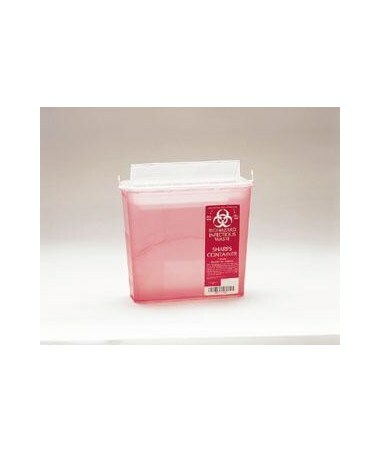 The container features a rotating chamber that allows sharps to be deposited safely into the puncture resistant container. This system meets OSHA and Federal State requirements. The container has a horizontal drop to maximize its use. For easy storage they can be nested together. This container can also be used in any leading brand cabinet providing the same great functions. Sharps can also be manually dropped into the container using the actuating lever if necessary. A glove box is available that can be attached to the wall cabinet. The 5 qt. container is available in clear or red. Select a color from the drop box above and press add to cart!